Drinking Water Fountains - or Works of Art? Here at Drinking Water Fountains, we love water. We also border on mildly obsessed when it comes to drinking water fountains. And we love to discover creative fountains that can easily double as works of art! Water from outdoor drinking fountains is free and reduces the negative impact of environmentally unfriendly plastics in the form of bottled waters that contribute to the unsightly problem of litter and pollution around the world. And as a tribute to these eco-friendly public water fountains, we’ve compiled a list of our favourite water fountain that are as beautiful as they are useful. Located in Ashland, Oregon, the Lithia Fountain is a public drinking fountain that offers passers-by the chance to sip on the Lithia water – a mineral water for which the town is famous. A very healthy water, it does have a strange taste due to the presence of lithium salts. 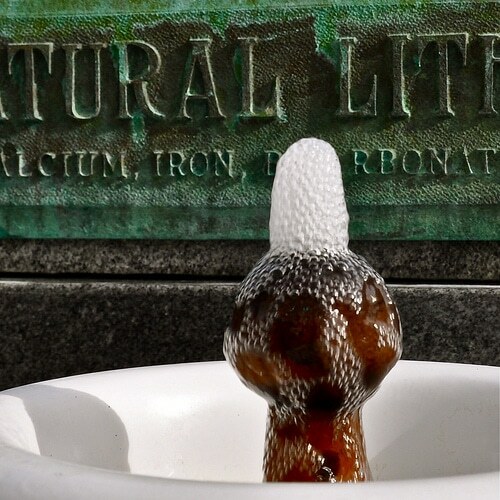 Natural lithia mineral springs are rare, making this Lithia Fountain a popular attraction for visitors to the city. Alleged positive health qualities of lithia water include its potential as a natural detoxifier, a mood booster, a contributor to increased life expectancy, and other medicinal qualities as a result of the water’s high mineral content and natural electrolytes. Wooden drinking fountains are a rarity these days. With the wood’s propensity to rot and fall apart, it’s frequently overlooked as a medium for water fountain creation. 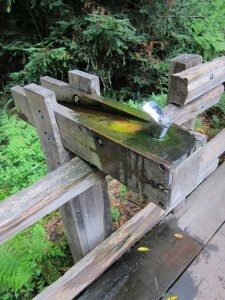 But the American National Monument of the Muir Woods boasts its very own wooden drinking fountain, that compliments the beauty of its natural surroundings as much as it offers a fresh sip of water to tourists. And never leaving water to waste, the excess water cascades into the adjacent woodland, ensuring that no drop shall go without serving its purpose of providing sustenance to people and nature alike. Paris’s Wallace Fountains are scattered throughout the city and renowned worldwide as one of the famous characteristics of the city. 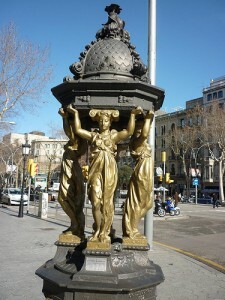 Featuring small cast iron sculptures, the fountains were named after Sir Richard Wallace who financed their construction. Currently, there are seventy-seven Wallace fountains, most of which still serve water to visitors and residents of the city. When built, the Fountains had strict design parameters to fulfil: they were to be tall enough to be seen from a distance, yet not detract from the visual harmony of Paris; they were to be both aesthetically pleasing, yet functional; and they needed to be affordable enough and weather-resistant enough to allow for dozens to be installed – and easily maintained – throughout the city. Rome is hardly lacking when it comes to the beauty of its sculptures, monuments and yes, you guessed it, drinking water fountains. 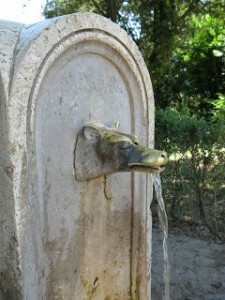 One stand-out example is the She-Wolf Fountain. And not only is this fountain beautiful, but it’s a classic example of the innovative minds of past centuries. The fountain boasts a dual-use spout – water can flow out of the bottom of the spout to fill bottles and buckets, and from the top (once you’ve positioned your finger over the hole in the bottom) to form a drinking arc from which you can easily sip. While we’ve barely even scratched the surface when it comes to beautiful drinking water fountains the world over, the four we’ve featured are a good start. Each completely unique and beautiful, these fountains remain true to their primary function while adding something special to their surroundings. And as lovers of all things water, we’re thrilled that they’re around!